Rob Skiba originally started doing his Revolutionary Radio Project show on BlogTalkRadio. In 2015, he switched to the Truth Frequency Radio network. You can listen to his show live on Wednesday nights from 11pm to 1am CST at TruthFrequencyRadio.com/revolutionaryradio. You can also listen to the archived shows there or view them as videos in the appropriate playlist on the video page. As for the older shows on BlogTalkRadio, you can use the embedded player below or go to Rob’s BlogTalkRadio page to listen to over 200 radio broadcasts (NOTE: some of these are repeats from the TFR shows). 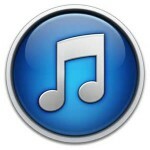 You can also listen to and download the BlogTalk shows on iTunes.